You have worked hard to start your business, to carve out a niche in the market and cultivate a loyal and hungry customer base. We understand that accepting a helping hand can be difficult. We get it. It’s hard to trust someone else with your business. There are so many ways it could go wrong. Perhaps the designer doesn’t quite understand your customer demographic or worse, they won’t capture the essence of the business itself. There’s definitely a big argument to be made for doing it yourself, but at times, it is for the best to have some assistance in promoting your business. 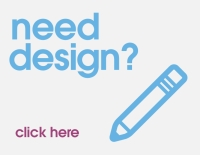 Hiring a professional to help you with certain aspects of promoting your business - in particular design and advertising - can have huge benefits. They will likely have worked with a company providing the same or similar product or services as yours, so they’ll know exactly the kind of thing potential customers and clients want to see. Plus, as designers, they will have the kind of creative knowledge to help your promotional materials stand out against all of the competition. Sure it may be cheaper to design something using Photoshop or Microsoft Word, (or even Paint) and print off your own flyers. But will they be of the same professional standard as having it printed? No matter how good your designs look on your laptop screen, it can be a totally different story once they have been printed off. At Kaizen, we print your designs on a range of different paper and card stocks. This is what gives our products a little more umph! It’s what makes your marketing tools look and feel great, not to mention highly professional! Even if you aren’t a pro with photoshop, our team are on hand to turn your ideas into gorgeous designs. With years of experience behind them - they know the ins and outs, the do’s and don’ts when it comes to everything design related! So you can trust us to turn out something great. And design isn’t the only aspect of your business Kaizen can help to improve. We also offer our services for online marketing, such as social media branding, so we can offer a comprehensive overhaul of your business’s marketing strategy. Whether online or in print, we have experience in creating something spectacular which is sure to attract a whole new group of customers to your business. We are the number one choice for many of Belfast’s businesses, from restaurants to bakeries to sportswear companies to hair salons, we have experience working with a wide variety of industries within Northern Ireland and we want to share our expertise across the whole United Kingdom and Republic of Ireland. There are an infinite amount of industries out there, with companies all trying to give the same unique quality to their business and Kaizen’s graphic design team will be able to make your hair salon chic, your law firm professional or whatever other design help you need, in order to help your business stand out from the crowd.